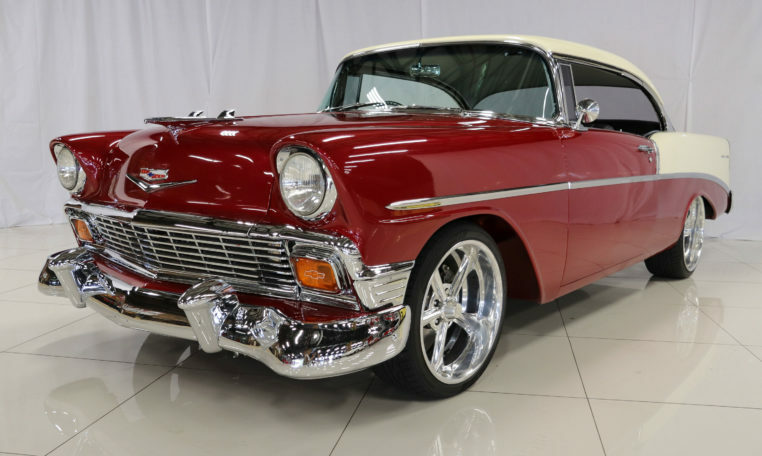 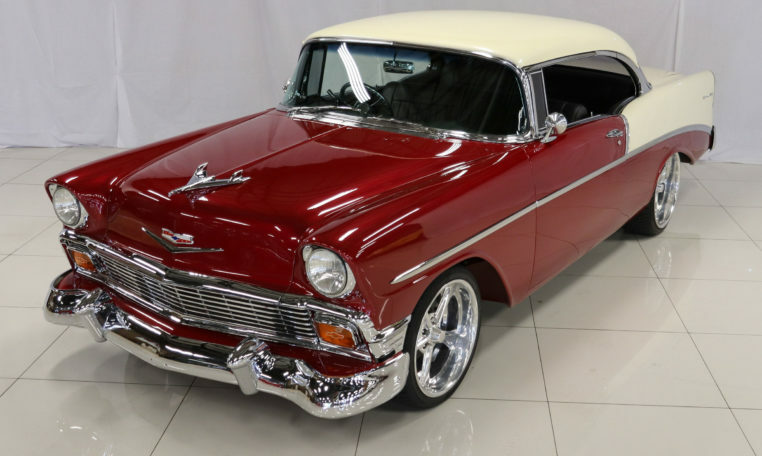 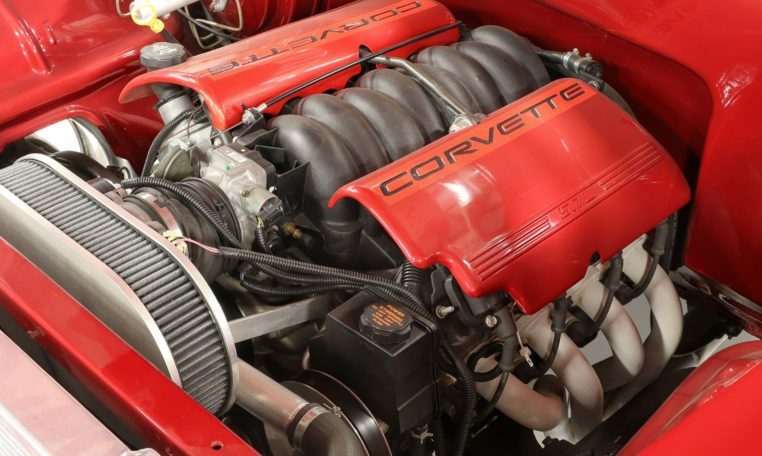 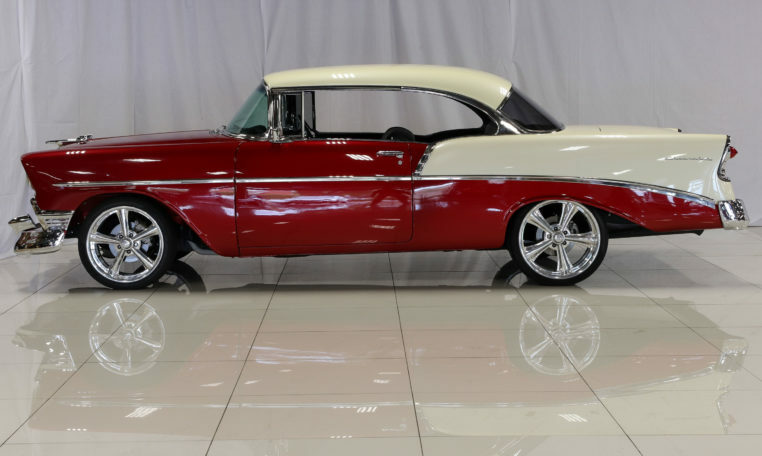 This 1956 Bel Air is fitted with a modern fuel injected LS1 5.7 V8 motor with new generation power steering. 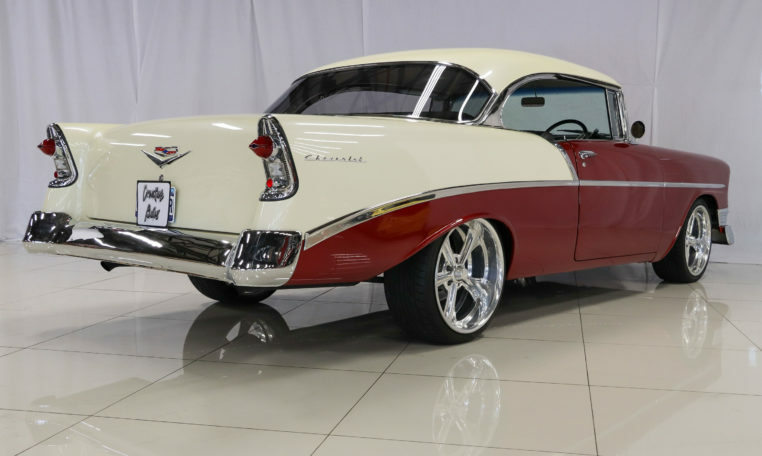 This classic Chevrolet is fitted with custom disk brakes all round, for more daily, urban & rural driving The 1956 Bel Air received a face-lift with a more conventional full-width grille, pleasing most of its customers. 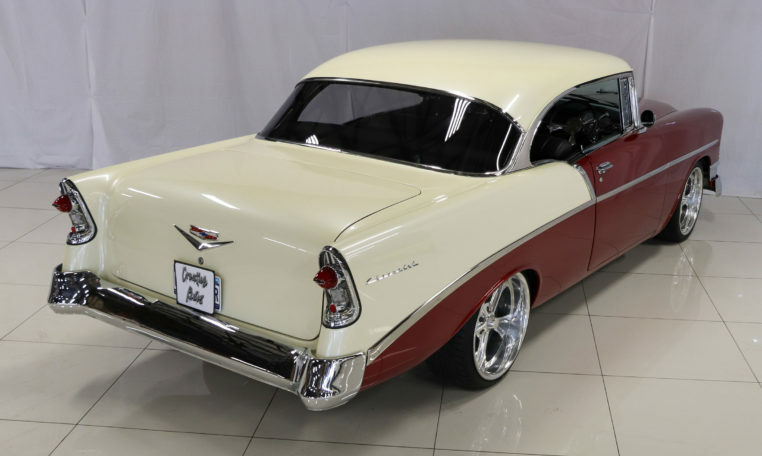 Two-tone body side treatments and graceful front and rear wheel openings completed the “speed line” restyling. 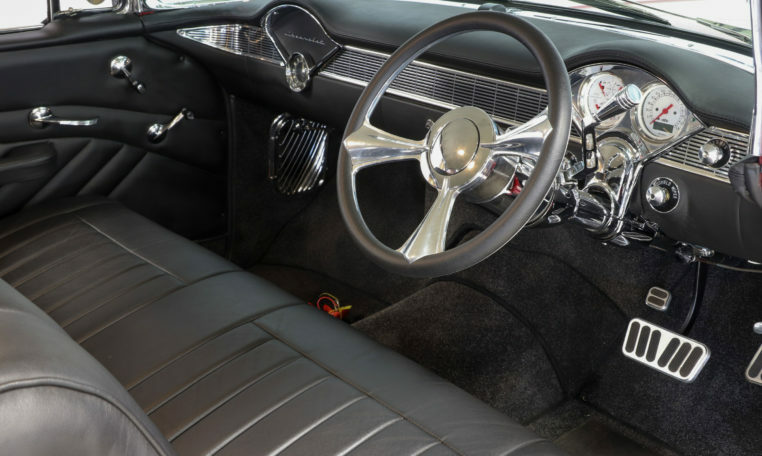 A single housing incorporates the taillight, stoplight, indicator, and the left one houses the petrol filler entrance. 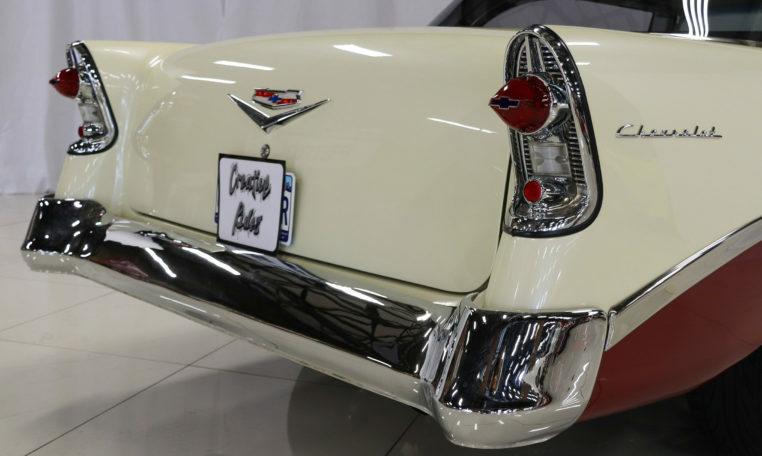 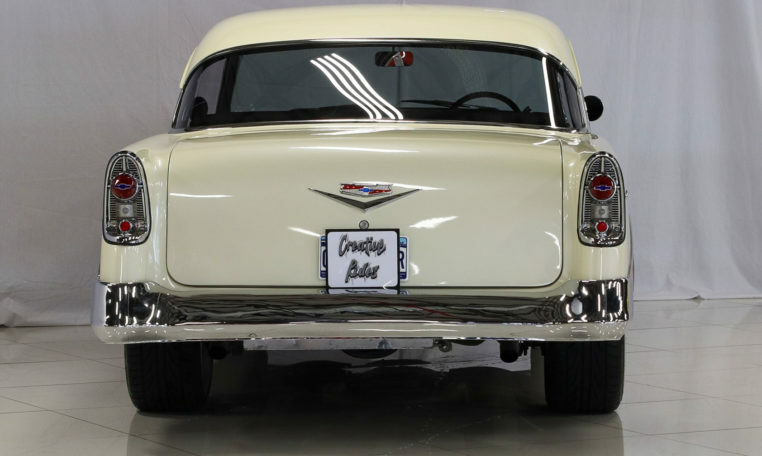 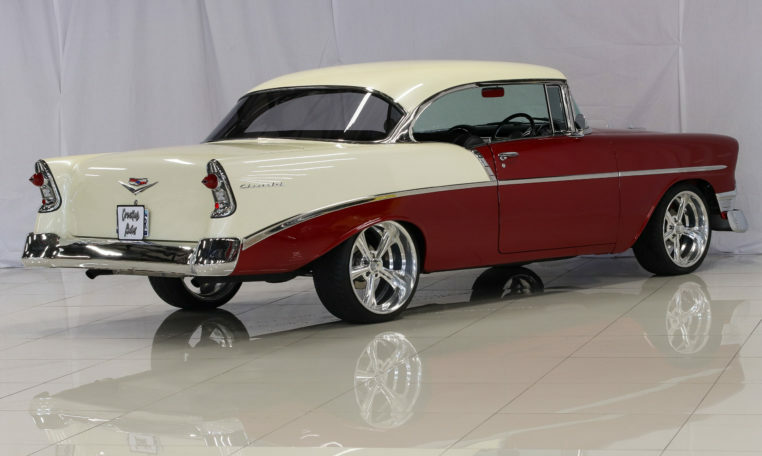 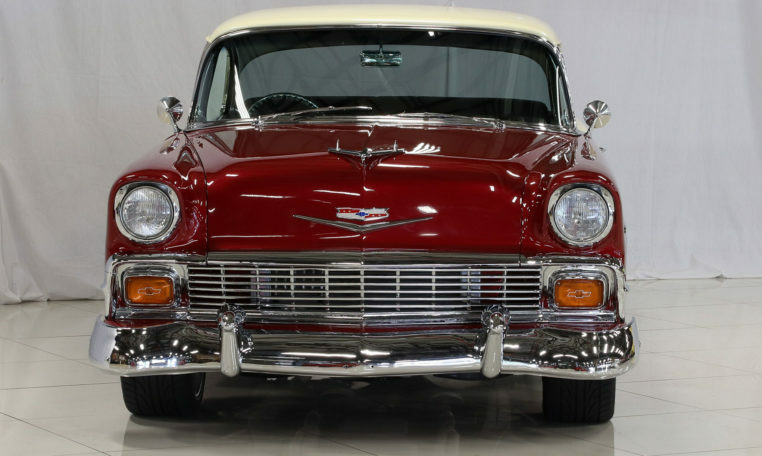 The ’55 to ‘57 Chevrolet’s are referred to as Tri Fives and this range established the Bel Air as a cultural icon. 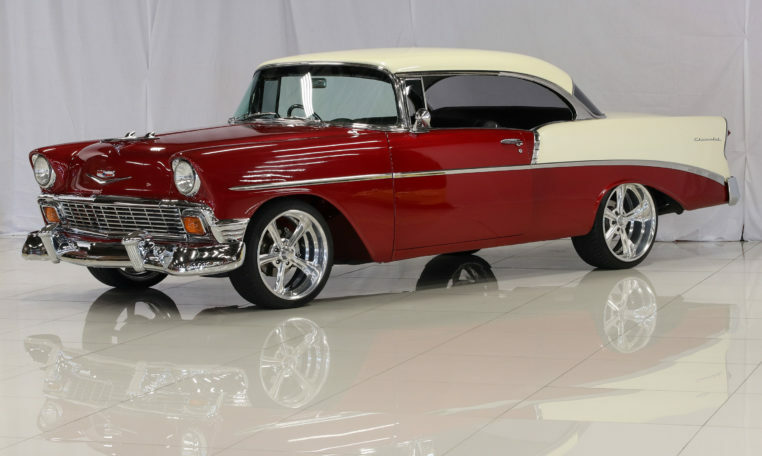 The Tri Fives were also made in right-hand drive and shipped from Canada, for local assembly in South Africa.